The US, European Union (EU) and its allies are part of a 76-country “WTO initiative” on “trade related aspects of e-commerce”. Strangely enough, this initiative was launched in the World Economic Forum at Davos, and not in any WTO fora. This “initiative” was discussed a number of times in WTO including during the last Ministerial in Buenos Aires in 2017, where also it was rejected. The developing countries including India had argued that without any agreement on Doha development agenda, WTO could not take up other issues. Therefore, this very peculiar declaration in WEF, Davos, the club of the rich, of a “WTO initiative”, which could not be decided in the WTO platform! The EU Commissioner for Trade, Cecilia Malmström, gave the real game away while welcoming this new trade initiative in Davos, that it will address the need for 1) no customs duties on electronic transmissions (ebooks or any other digital goods); and 2) the issue of forced data localisation and forced disclosure of source code requirements being imposed by many countries. Trade is about goods or services across borders. When goods cross borders, they may have to pay taxes or duties of the country it enters. This is what GATT and now WTO is all about, fixing a global system of tariffs what would is agreed by all parties. Why should negotiating this trade – using either letters, telexes, e-mails, or using e-commerce platforms – change the nature of this trade? At the end, irrespective of how these contracts between buyers or sellers are decided, either through private communication or using a digital platform, the net result is same, exchange of goods and services for money. So why do we need new rules for such trade? By calling it digital trade or e-commerce, does the nature of this trade change? Let us take the duties on digital goods. Why should duties be levied on digital goods? The argument against this is a very simple one. What is it that we pay for, is it the paper of the book or its content? Do we pay for the plastic on which a piece of music is written on, or the music? In other words, the media on which a book, a piece of music, or a film written on is not what we pay for, but their content. The content does not change even if its form does. And any goods that is transacted is taxed by the state as the state needs revenue to run itself, including welfare for its people. If the goods in such transactions are not taxed, it means the only state that can levy tax on such transactions, is the state within which the company delivering the digital goods reside. In other words, this is a simple transfer of tax revenue from the poor to the rich countries where most of these digital monopolies reside. Back to free trade for the rich countries at the expense of the poorer ones. Asking for no data localisation is effectively taking away people’s data without our knowing what has been taken away. Google and Facebook – for data they do not want to give – claim that they are not Indian companies, and therefore are not under Indian law. Their position is that even for the income they make from Indian advertisers, they are not liable to pay taxes in India. As software becomes increasingly pervasive in our lives, we do not know what the software really does. Does it snoop on us a daily basis? Does it have secret backdoors for the company that supplies such software? Should not therefore be a check on such software which go into the public infrastructure in a country? We now know that Facebook had such snooping software in its app that people used in their mobile phones. We know that Google, via its Android operating system, used on the bulk of the non-iPhone mobile phones, does snoop on its users. These companies know at any instant, what we do, what we speak, and where we are – with a 360-degree surveillance on us at all times. For those who followed the Cambridge Analytica case of hacking of the US and other elections, think of what Facebook and Google can do. Cambridge Analytica stole some data from Facebook; Facebook has far more data and knows us much more intimately. So does Google. What is the role they are playing, for instance, in our elections right now? And if money is what makes them move, the BJP has far more than any other party. If election bonds are any indicator, BJP got 95 per cent of the election bond proceeds, with all the other parties totalling only a meagre five per cent! Should all such activities be unchecked by the host country laws and regulations? Or should such activities be regulated, starting from simply knowing what data the global monopolies hold on the Indian people? The bigger issue is that if data is indeed the new oil – as the World Economic Forum argued some time back – who owns the oil in the new digital economy, is of course the key issue. To use a different metaphor from that of oil, Great Britain ruled an Empire over which the sun never set (geographically, not historically, as sun has set over the British Empire), only because it ruled the waves. Today, whoever controls the data flows and the software of the devices, controls the global economy. This is digital colonialism, plain and simple. What has surprised many, is the participation of China and Russia in an initiative led by the US, European Union (EU) and their allies. While it is understandable that the US, home to the top seven digital monopolies would be interested in so-called e-commerce or digital trade, the participation of China which is on the other side of US-led trade war, may appear difficult to explain. However, China is also very much in this digital monopoly game – there are two Chinese companies in the global list of 10 top digital monopolies. It is not surprising therefore that China is also willing to join these negotiations. 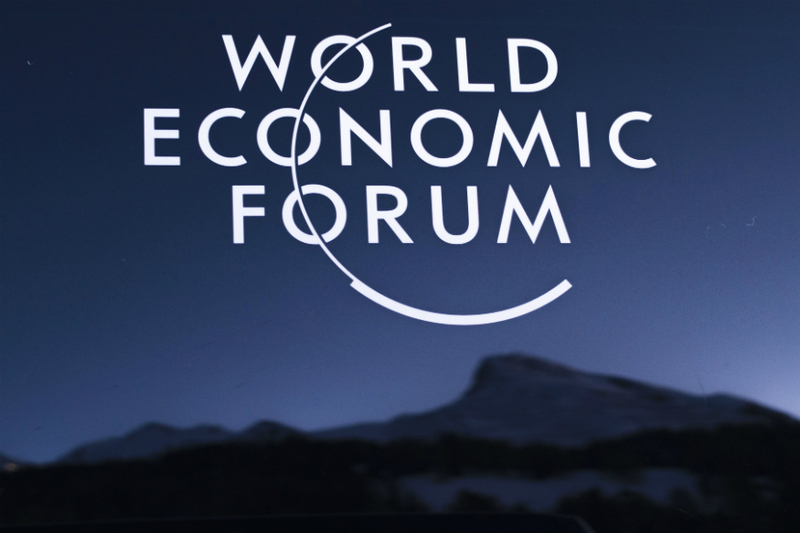 If the digital world is to be divided up in Davos, they cannot afford to remain outside it. The US, after extracting maximum benefits from the WTO system, now sees its rule-based system a barrier. Its trade wars: declaring punitive tariffs on various countries including China and India, demanding that every country must balance its trade with the US even if the US is no longer a major manufacturing power, all of these violate WTO rules it helped craft. It has now refused to appoint judges who form the seven-member WTO’s Appellate Body, bringing its existing number down to 3, below which it cannot meet.